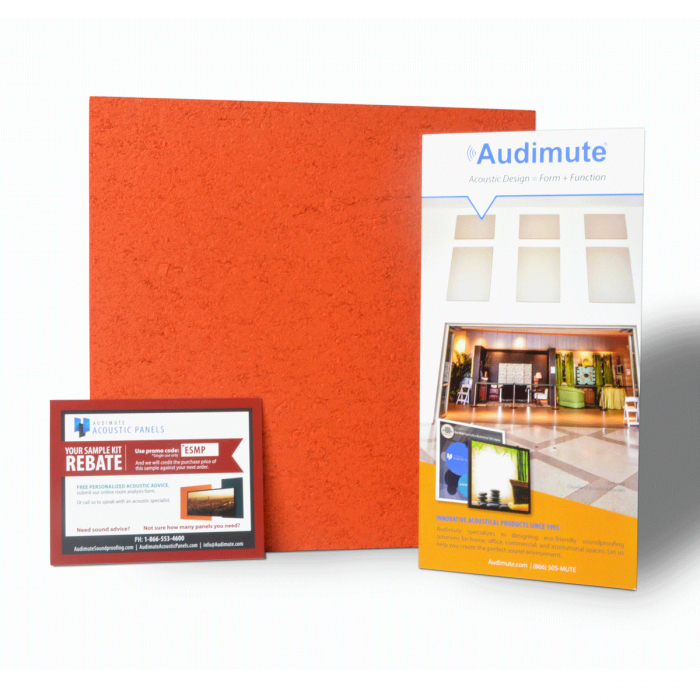 Audimute Reviews rave about our service, our products, and most of all, our results. If you would like to submit a review, please enter the review on the product page(s) under the Reviews tab, or email your review to customerexperience@audimute.com. Acoustic Panel 4 Pack 2'x4'x2"
Acoustic Panel 4 Pack 2'x3'x2"
"I bought 3 sheets back in 2014 to help treat my bedroom studio. It's amazing how well they dampen reflections, their huge size and does a great job giving full wall coverage for instantly audible results. I was surprised at how well they reduce outside noise as well. 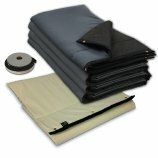 I've moved 3 times since I purchased them so they have been up in 4 different home studios, these sheets have quality you can feel and even after everything I've put them through they still look brand new. 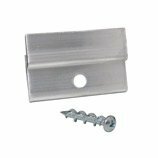 They have some weight to them so I suggest using wall anchors just incase the sheets get tugged on accident. Each time I set up a new home studio the room is different and I get to hear the major treatment made by the sheets after I put them up. Never fails. These things have never ceased being useful no matter what hole I'm trying to cram my studio into. I start off with a little square room that's reflecting frequencies all over the place and end up having a controlled and clean room with everything right where it's supposed to be. Having different colors on each side ended up being great too, my last studio was black but my current one is steel (blue), it might not seem like a big deal but when you're spending endless hours socked in there it's really nice to switch it up for a fresh feel. I really couldn't be happier with my purchase 4 years later, now I'm ready to buy 3 more and get 100% coverage in the rest of my studio!" "We ordered standard panels in our new, teen, virtual video gaming room and they worked well in reducing the noise level. We then purchased custom panels, for a more personalized touch, in our new innovation lab. The panels are an effective way in reducing noise and we would purchase again." 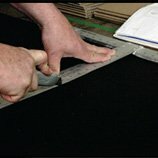 "We are a professional soundproofing company in Chicago, Illinois and we exclusively use Audimute Panels. Why you ask? 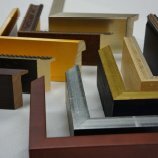 They are the most durable, attractive, and effective panels we have used and we will continue to use them. Rick and the team do an outstanding job during the ordering and shipping process! Thanks guys!" 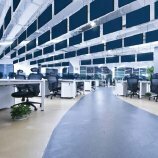 "We bought a large number of panels for our conference room and offices to help reduce the noise transfer between rooms. 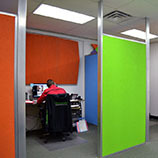 We are pleased at the reduction in noise without having to buy an entire wall of panels and they have added an artistic flare to our blank walls. 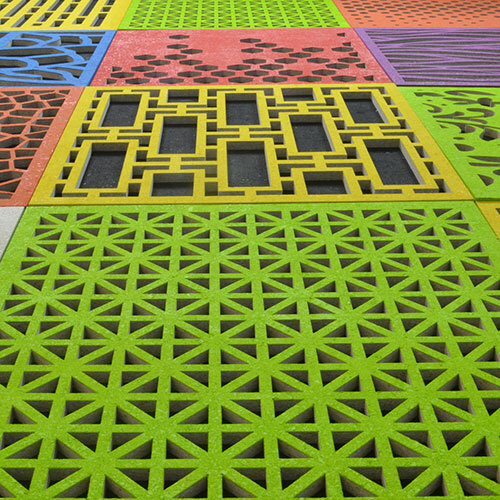 I like them so much I will probably buy some for my house soon." "Excellent product and quick turn around time. I have a dedicated listening room which needed acoustic improvement. Once I installed the panels to reduce wall reflections, the music was richer, clearer and much better staging of instruments. They also have friendly service on the phone. Thanks for a great product!" "The panels I purchased from you have made a remarkable difference in my studio control room. This is now a beautiful environment for recording and mixing my work. 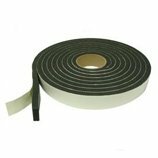 Thank you for providing such a great product!" "Price, looks, ease of installation (outside of walls) AND the customer service was phenomenal! I was surprised at how helpful and concerned they were! You guys are great! My call was referred to a specialist who took the time to reach out to me and call me on my schedule and then proceeded to help with suggestions and every question that I had. You guys are really great and so helpful and caring!" 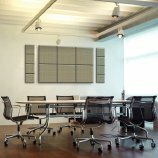 "I purchased 6 sound dampening panels for a conference room located in the basement of our office. Prior to installing the panels the room was echoey, it sounded like you were in a cave. Huge difference with the panels up! Also, they are very nice looking." "I work at a hospital which recently had renovations completed. We soon learned that there was a sound issue in our Hearings room. 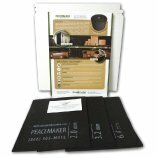 We purchased standard panels from Audimute to help with the problem. Upon arrival, the product was fantastic, easy to install and looks like artwork on the walls. It has made a tremendous difference on the sound level and echoes in the room. 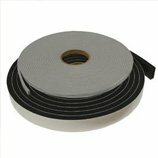 We are so pleased that we just placed another order." "I ordered a custom 2" thick wall panel, with designer GoM fabric, that I wanted to mount above my mixing position in my new voice-over recording studio as a "cloud". The first panel came in with a damaged corner from the shipper. After contacting Alex at Audimute with this news, Jessica Ficere, my Customer Experience Advocate, decided to just send me a whole new panel, free of charge, and that I could keep the damaged panel. The second panel arrived in a wooden crate, designed to be protected against a nuclear blast... LoL. Needless to say I am extremely happy with Audimute's customer service experience!!! As it turned out, I was able to use the damaged "designer" panel in my voiceover booth to replace some wall panels from another company. If you need to see pictures of my complete order of panels, please check out my website at www.bobbysheldon.com. I'm very proud of how they turned out thanks to both Alex and Jessica at Audimute." "Took products out of the box and placed them within our house.....What a difference! We were getting such an echo it was becoming a pain. With the panels, it sounds like any other room! it is a rare thing to find a "Customer First" organization. You guys were easy to talk to, helpful, and eager to answer any questions I had." "I'm doing a remote radio program via ISDN line from my office. The sound quality wasn't matching the sound from the studio. Once I installed the panels, the quality of the sound improved to match the level of the in-studio announcer. It was amazing!" 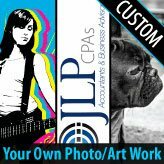 "The black acoustic panels I purchased seem to really improve sound in my basement's band rehearsal space. The difference was amazing! They were fun and easy to install & look great, too." "I have a recording studio and needed acoustic products to control the sound reflections. 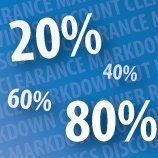 After reviewing several companies on the web, I was very grateful to find Audimute. 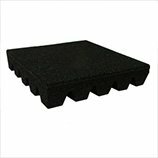 Your bass traps and acoustic panels work very well and are eco-safe. They look great and are very easy to put up. Also, the good advice and overall help I received from Mallory was so refreshing. Her manner over the phone is a good reflection of the company's integrity." "Using them at a veterinary hospital, have many boarding animals! helps drown out the sound of the noise & echo in our small clinic." "Thanks Audimute! Just installed the 24 panels we ordered from you in our Fellowship Hall. What an improvement! Great craftsmanship. 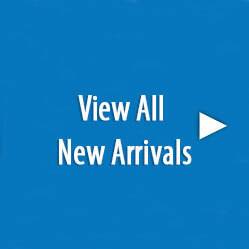 Quick shipping & very nicely packaged." "This past summer we finished our basement to include a living room for watching movies and entertaining. Plans included a large flat panel TV, A/V gear and furniture. The area I designated for mounting the TV was also the wall with access to utilities (water, electric and cable). During construction I had our contractor frame around the access to each utility so I could hang some type of home theater acoustic panel for easy access. After a lot research, I decided on the 2X4 Audimute sound dampening panels. 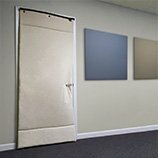 Each home theater acoustic panel covers the access to utilities and can be easily removed when needed. 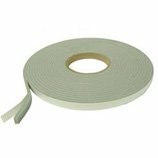 The ability to hang and remove with ease sold me on the product. The panels look great while adding sound audio performance to the room. We are very happy with aesthetics, ease of installation and performance." "I have a recording studio and already have several 2x4 Audimute panels and 4 Bass Traps. 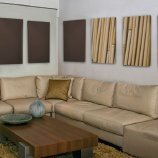 I'm in need of another acoustic panel for one wall and have never seen any other product, in person or online, that compares to your products. Pros: They are sonically very efficient, look great, and eco-friendly so I'm confident they will not hurt my health Cons: None. Thank you for such a great product. I will promote you whenever I can!" 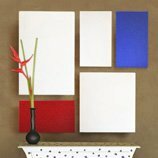 "They created three pieces of artwork we are proud to hang in our office. Rick and his team were super patient with me and communicated effectively throughout the entire process to be sure we had a quality proof before anything was sent to production. To say we are happy with the panels is an understatement. They fit so well in our office and were so easy to install. From the exceptional customer service to the quality of the panels, our experience with Audimute will definitely have us using them again for any future projects." 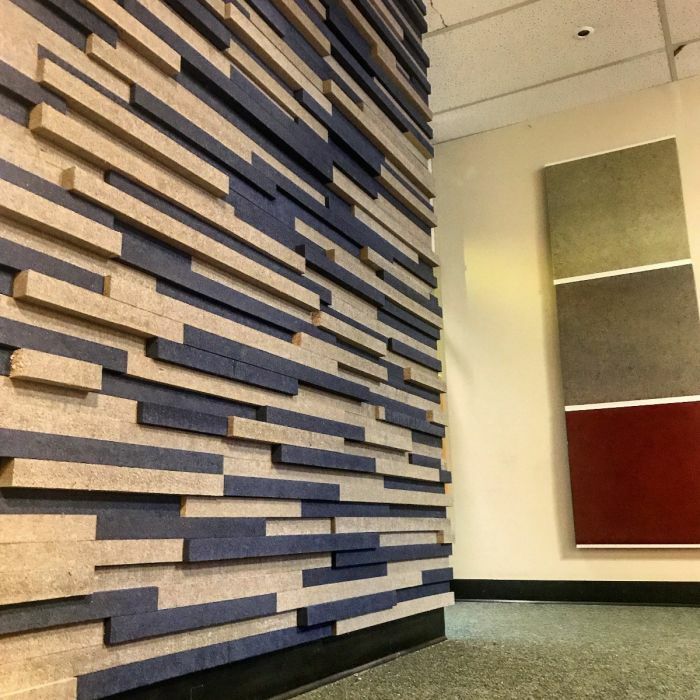 "We knew we had to do acoustic panels in our clients lobby to fix the horrible acoustics, but I never thought they would work so well and look so good. They blew us and our client away. Plus the Audimute staff were incredible to work with and helped this non acoustics engineer figure out the best solution. Thanks Rick and Amanda!" "This is my second purchase from Audimute for clients and there will be many more. Mallory has been so attentive and timely when given my crazy deadlines. This product which was printed with a clients logo exceeded our expectations. Great quality with good directions for hanging. Everyone at the facility has always been so polite and accommodating. Thank you!" 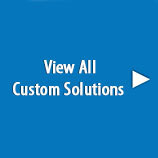 "Our custom image panels turned out even better than I expected, and I had high expectations. The colors and textures of the higher res images were vivid. Even the photo that I was worried would be too grainy or dark was great. 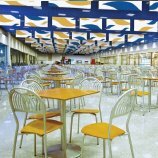 They add a richness to the space along with acoustical assistance. I'm thrilled about the panels and received many compliments." "We love these custom panels! Great way to reduce noise in the office while featuring our VIP client logos. Dual purpose!" "We have now received and hung our panels and they are absolutely stunning and very effective!!! Through out my experienced with Audimute I have dealt with polite people with great customer service skills. ... Your Audimute Specialists are friendly, knowledgeable, and a pleasure to work with. It is a very rare today to find people who are great at working with the public. Your reps are awesome." 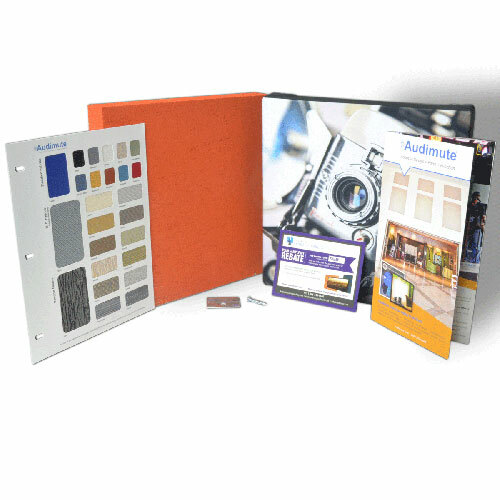 "The customized photo panels are absolutely beautiful. The difference in sounds in the office is tremendous. Where before sounds were traveling up the hallway (a sound tunnel), now the sounds are muffled and absorbed. I am completely satisfied with the end product, It's functionality and its aesthetics. Thank you for developing such a commodity." 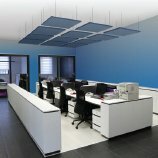 "I am pleased with the performance of the acoustic panel. I recently enclosed my Florida lanai with glass doors which resulted in an acoustical problem--an echo. The panel has solved the problem. I am planning to install more panels in a long hallway across from a utility closet that houses the air handler of my air conditioning unit. The sound of the fan is noticeably reduced with an acoustic panel across from the louvered door. It keeps the sound from bouncing off the hallway walls and into the living space." "Very good quality panels. I will highly recommend and look forward to my next purchase. This purchase for a media room where I removed carpet and replaced with tile. Sound panel gave the room a nice decorative look. Special thanks to Laura for her patience and assistance." "Looks Great! Neat! Lightweight! Easy to install. Instantly notables sound improvement. Looks Great! Custom panel came out perfect!" "I used custom panels and stock panels in my hair salon to reduce noise level. They worked great!" "Our church purchased this Image panel in the landscape format in the 2 ft. wide X 3 ft. tall X 2 in. thick. The panel came with the two wall attachment clips that were very easy to install. The panel was purchased and installed in our Family Life Center where our Fellowships are held. This piece is beautiful and has received numerous complements. The print on the fabric was very clear and crisp. The panel has a metal frame that contains the proprietary eco-C-tex absorption material. The panel is very well made and makes a wonderful addition to the other Beveled Edge fabric panels we purchased. I would recommend this Image panel to others interested in this type of image." 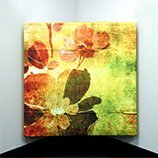 "I purchased three of the Amplify Standard Image Panels to put in my studio. I couldn't be happier with the sharp images, and the amazing sound absorbing qualities." 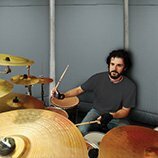 "The product was very effective in my drum room / recording space. The aesthetics were a welcome addition for this type of room." "We noticed a difference when we installed the panels and they worked just as we were hoping they would." 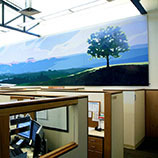 "Easy to put up and made a world of difference in the noise level of our office. "Beautiful and functional all at the same time. The only thing better than the product is the customer service!!!" "Mallory was a great help in analyzing my office space and suggesting orders and priorities." "We had a reflected noise problem in the Church fellowship hall. The room is 49' by 22' with 12' side walls. We mounted the bottom of the panels at 4 ft. where possible. I purchased 36 panels, 1.5 inches thick, of different sizes, 4" X 2', 1' X 4', and 3' X 3", a total of 276 sq. Ft. The panels were mounted using Loctite Power Grab (15 second work time). We also tacked the panels with 2.5" 16 ga finish nails to hold the panels in position. The panels have reduced the echo in the fellowship hall, and everyone is happy with the noise reduction. We tried to match the color of the wall using the Sherwin Williams color match. The color of the walls are eggshell white. Audimute painted the panels, the color is a light gray. The sales representative told me that painting the panels with a white/light color would not match the wall color. The panels look good on the walls and comments have been positive from the members." 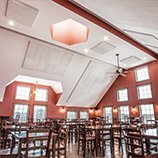 "The panels and ceiling tiles are aesthetically pleasing, easy to install, and work perfectly. Rick was the acoustic specialist I worked with for our project. Rick was very friendly, helpful, and timely to respond with any questions both by phone and e-mail. We went with Rick's recommendations for our project and the final result is exactly what we needed. I actually placed our order by e-mail." "This is my second order. I am very pleased with the panels I have previously ordered. Having the free custom color option is perfect so we can customize the color to fit the space we are designing for." "Rick Michaelsen and the Audimute products are excellent! I highly recommend them for a restaurant application. We have a high volume restaurant with 14' ceilings, and Rick perfectly assisted me every step along the way. We ordered 150+ panels, and they were very easy to have installed (only took two half days). Since then, the noise has been reduced considerably, and we are incredibly pleased with the results. Thank you so much Rick, you are awesome!!" 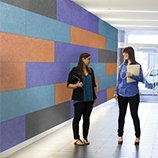 "Ordered these to dampen sound in a high-ceiling lobby while also creating an artistic mural on the wall. I ordered custom colors and they look great and they have also helped dampen the noise echo quite a bit. Happy customer!" "I used it to dampen vibrations in my bedroom (downstairs neighbors), it stops anything from going down and from coming up. I can wear heavy boots and this stuff stops it. I also put it under my bed frame to stop vibrations from coming up through the floor, our building is terrible that way. I also have two portable room air conditioners which the neighbors complained about vibration coming down through the floor. Same for my indoor exercise bike. This stuff stopped all that cold. I eventually made runners of the stuff, so I can walk around any time without disturbing the downstairs neighbors. Having to tiptoe around in socks all the time got old. 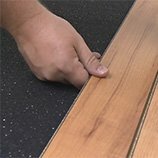 I previously tried 3/8" thick rubber floor tiles from another vendor, they helped a little, but nothing like this stuff." "Easy installation, Great customer service, sherwin williams paint match was an excellent option!" "I was being driven insane by ridiculously self-centered neighbors and a roof top compressor that was not only noisy but broke down causing a terrible odor and steamy heat in the common area near my top floor apartment. 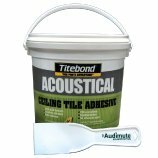 Though I know Audimute's claim is to help with noise, using this door seal kit helped tremendously with all issues- at least in my case. I cannot thank you enough for relief from hallway / vestibule cell phone yackers, that damn elevator "ding" and parents who think its funny when their kids run up and down the hallway. My door seal kit was super easy to install and your customer service is top notch. I love visiting your website to learn and plan my purchases for when I buy a FULLY DETACHED home. Audimute is the best!" "The sample pack I ordered was delivered in two days, and had many more colors and textures than I thought it would! As my wife and I finish our basement home theater, we'll be able to see what material/color looks best to us and purchase our acoustic panels to match our decor." 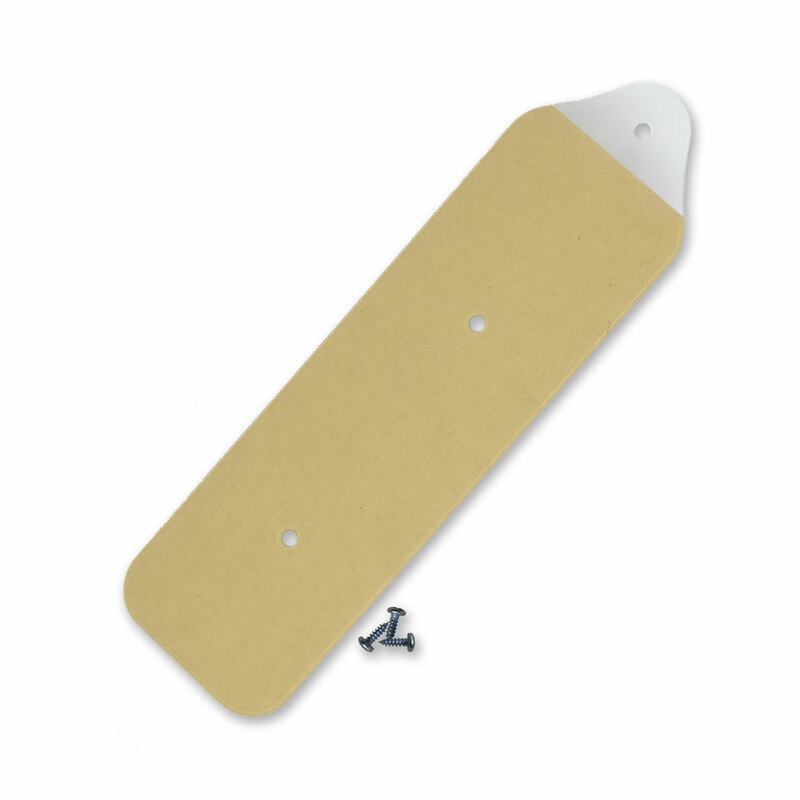 "I ordered the sample because I wanted to see the quality of the materials. I also wanted to see the fabric swatches in person so I could make sure I ordered the right color. I am very pleased with the quality and the colors. I will definitely be ordering more." "We are very happy with the Deluxe Sample Pack we received. It will be very useful as my company decides on which products to order in the coming weeks. Our team working on our acoustic panel project will be using the swatches to decide on colors for panels and have already commented on how much they like the image panels. Working with Mallory was very helpful while getting together information to my team for this project. It is nice having someone that I can relay their questions to so that I can get accurate information to them."